Huntington Beach Cleanup with Morgan Taylor and the SurfRider Foundation – All Dina Does.. 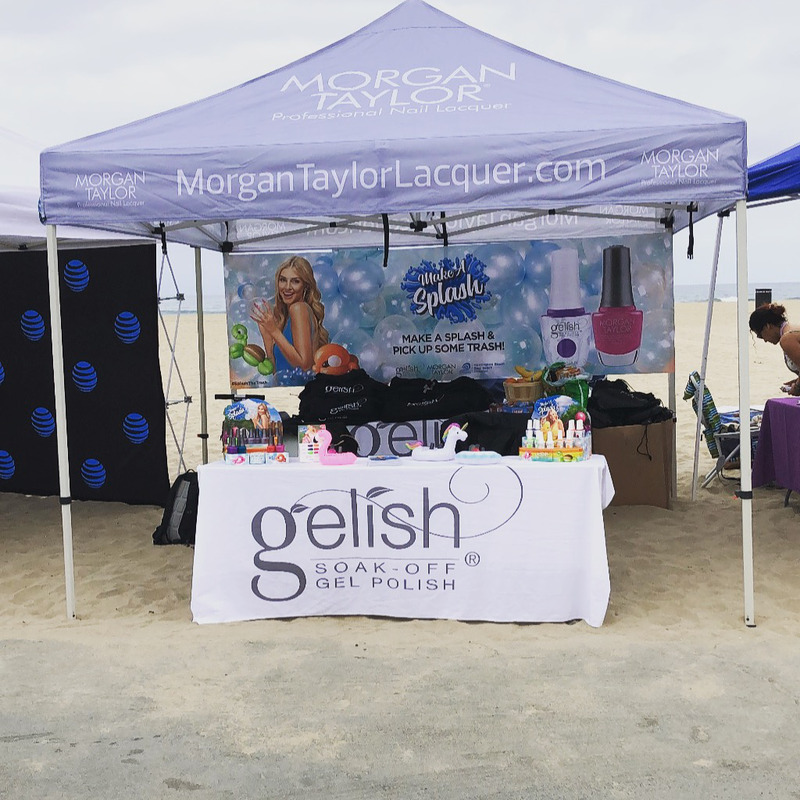 I recently ventured to the pier in Huntington Beach, California, to celebrate International Surfing Day with Morgan Taylor , Gelish and the Surfrider Foundation. International Surfing Day is dedicated to our oceans, and groups and communities come together to pick up debris along the water, educate themselves on the importance of environmental protections, and celebrate the joys that going to the beach can bring to sports, families and communities. This year’s theme was “Protect and Enjoy,” and consisted of a beach cleanup, surf lessons, music and more. Vendors including Morgan Taylor, Gelish and Oceana (an international ocean conservation and advocacy organization) lined the pier to share information, provide raffle products, and coordinate teams participating in the beach cleanup. I was greeted by associate marketing digital manager Morgan Haile, and the Morgan Taylor/Gelish team. All of the volunteers were given T-shirts, gloves, and bags to store their collected trash. It was so amazing to see the beach filled with volunteers of all ages who wanted to help out by collecting waste. Despite the lack of sun that day, the energy of the volunteers was radiating throughout the event. Once my bag of trash was filled, I returned it to the Morgan Taylor/Gelish tent, where in exchange for our trash bags, we were given a Morgan Taylor swag bag filled with goodies that included a water bottle and polish from the brand’s Make a Splash summer collection. International Surfing Day was not only a success for us, but for more than 30 countries that participated in this event across the world! Being part of the beach cleanup was a great opportunity for me to surround myself with people that also share my passion for a cleaner and healthier Mother Earth. On a daily basis, I try to be aware of how my lifestyle impacts the environment, and attending events like International Surfing day make me want to do more for my local community and strive to have a greater impact when it comes to living a healthy, green lifestyle. For more information on the Surfrider Foundation or to participate in next year’s event, visit surfrider.org. Previous Post The Relationships That Leave Us, and the Ones That Don’t. Do you have a media kit or UMV you can share with me?